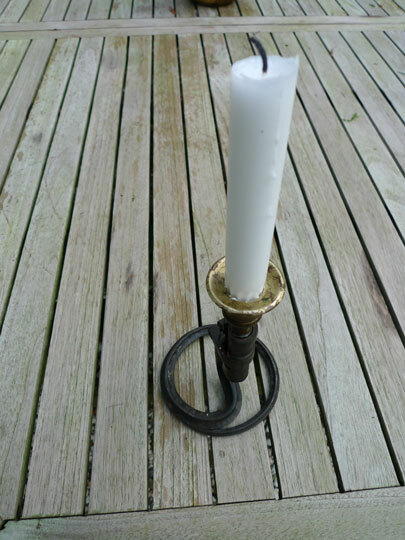 Candle stick holder made from rare Austrian made M 1891 Nosin Nagant socket bayonet. This is made from a very scarce M 1891 Austrian made socket bayonet. Austrian crest and B A. IX on socket. Holder is made out of one piece massive brass. Trench art. Very curious WWI piece.